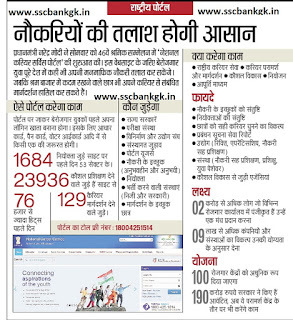 NCS Online Registration Form 2018 Apply Job Fair in नौकरी कैसे मिले National Career Service Portal for Job seeker News NCS Online Application Registration Form 2018 is Available. 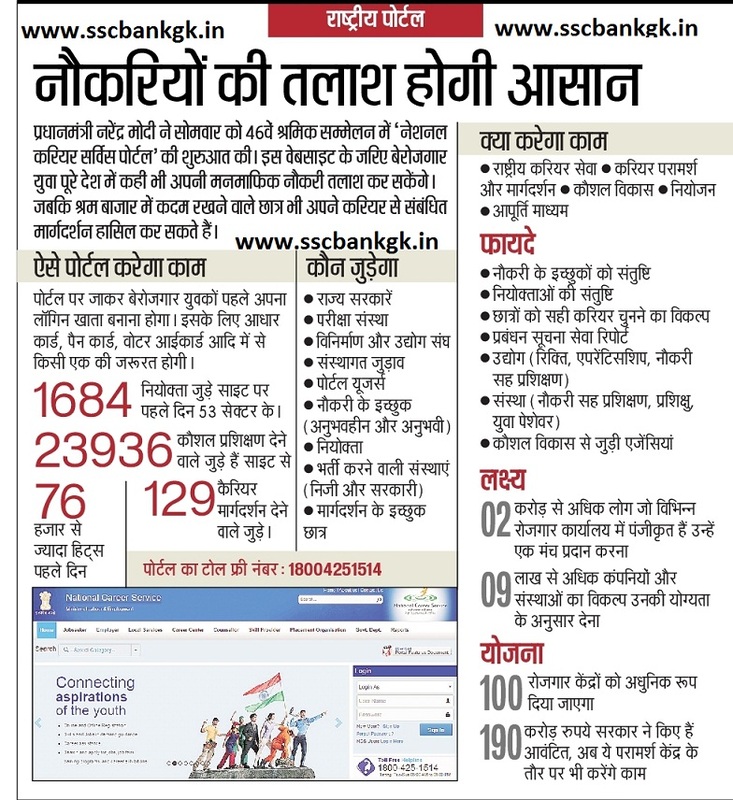 NCS Online Registration Form 2018 verification status and renewal ncs.gov.in National career Service portal is a India Govt employment portal NCS online application form 2018 to register in Employment Exchange Offices in the Country by the Modi from the Employment website ncs.gov.in to work on getting the various type of jobs, apprenticeship, Internships and Skill courses so get benefits and see our suggestion to how to register in National career Service portal that. Prime Minister of India Narendra Modi now launched the National career Service portal for an official India Government employment exchange website ncs.gov.in job fair for apprenticeship, Internship and Skill courses In its phase II currently under development, the platform will also provide modules for the Centrally funded institutes which conduct instructor training courses , apprenticeship services and to help the States in migrating the admission process for various vocational training courses online, provide a centralized database of instructors in the country for such courses, and also provide an integration with the National Career Service (NCS Job Seeker) portal of the DGE &T to integrate the training services with employment and Aadhaar. 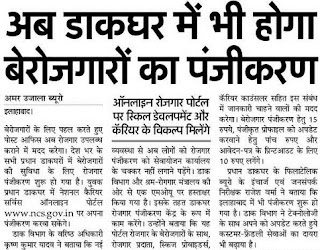 Its government initiatives of schemes only to register campanies called in make in India, Digital India and Skill India. Educational Qualification: Above 8th/Graduate Pass/ Master Degree Class. www.2018megajobfair.com: Mega Job fair 2018 is not connected with any link of NCS or Ministry of Labour & Employment. Application Fees: NCS does not charge any fees for registration on the portal and its services. Cluster Level Job Fair: in Gujarat and Uttar Pradesh. Gujarat NCS Registration: Botad on Oct 31st 9:30 AM at Sree M.J.Commerce College, Vidyanagar, Bhavnagar, Bhavnagar, Gujarat.Job Fair at Model Career Centre, Old Boys Hostel Compound, Nana Bazar, Vallabh Vidyanagar, Anand, Gujarat on 29th October, 2018 at 10 AM. Uttar Pradesh NCS Registration: UP-Kanpur Job Fair on Oct 30th 10:00 AM @ Room No 17, Regional Employment Exchange, GT Road, Near Gol Churaha.